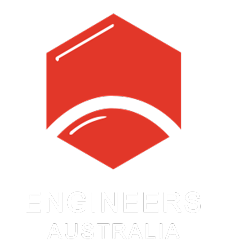 Engineering researchers from the Australian National University (ANU) have developed tiny optical sensors that could potentially be used in wearable technology to detect diseases such as diabetes at a much earlier stage. Associate Professor Antonio Tricoli, leader of the Nanotechnology Research Laboratory at the ANU Research School of Engineering, said the sensors work by measuring very small concentrations of gases called metabolites that come out of the skin and breath. The sensors, which are 50 times thinner than a human hair, combine gold nanostructures with semiconductors to enable the detection of these gas molecules at very low concentrations. By measuring the molecules that come out of the skin, doctors can ascertain a picture of someone’s health and allow them to manage diseases like diabetes, asthma or chronic kidney disorder. “It is very hard to measure the concentration of gas molecules coming out of the skin because there are many different ones and there is a very small concentration of them,” Tricoli said. The team’s small, optical, wearable sensors. If the sensors were incorporated into wearable technology, it would allow doctors to monitor people’s health in real time, without the need for expensive equipment that costs hundreds of thousands of dollars, or for blood tests. It would also help to remove geographical or social barriers that prevent people from accessing healthcare, as the device would be portable and low cost. “The main difference with existing technology is that instead of taking blood analysis, which only gives a snapshot of your condition, we want to continuously measure important biomarkers,” Tricoli said. The technology could also be incorporated into a patch or transferable tattoo that would be applied to the skin to measure molecules, with information tracked through a smartwatch or smartphone to provide information about a person’s health status. While the device could track data 24/7, Tricoli said it would be up to the user as to how long they would wear it. For example, they may opt to wear it for only as long as they want to measure molecules, or continuously to gain a deeper understanding of how they’re managing a disease. “It’s like giving you a video versus a snapshot, which is what blood analysis usually does — that just tells you how you’re doing in that moment,” Tricoli said. 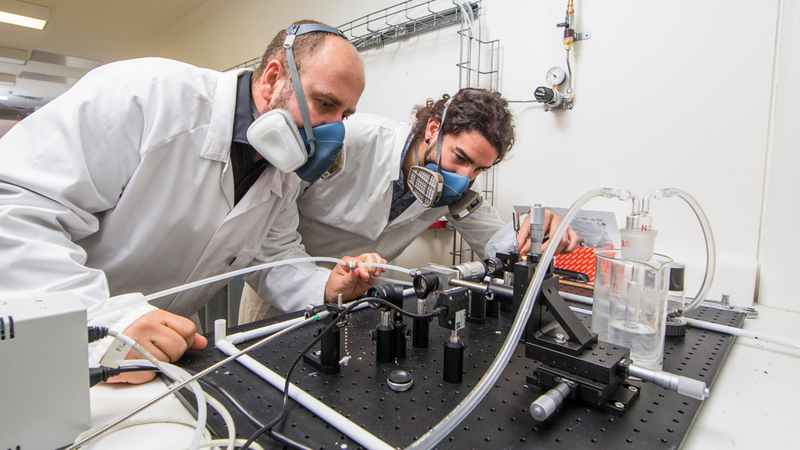 Dr Mohsen Rahmani (left) and Zelio Fusco in the lab. The team is now at the stage where they have carried out a proof of concept and demonstrated that the technology works. This included tests that measured gas molecules in the breath, where a whistle-like device was used to measure the concentration of specific molecules. The technology also has potential applications in the agricultural and space industries. For example, it could be used to examine if crops had a particular disease or whether they were ready to be harvested. The technology could also be fitted to micro-satellites to hunt for life in space. 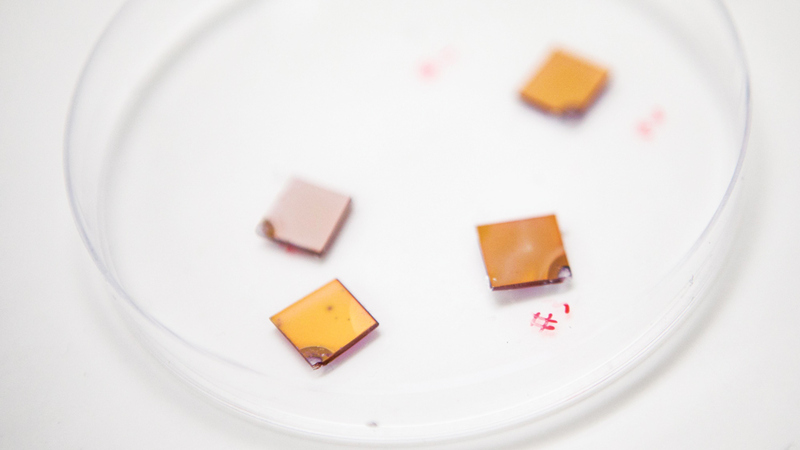 But while the minute size of the technology means it has various applications, working on such a small scale and assembling the materials at a nanoscale has proved challenging for the team. “The good thing about this new kind of device is that it can be tested wirelessly,” Tricoli said. This article was originally published as “Common sensors” in the September 2018 issue of create magazine.